I have some pretty cool news to share with you all. 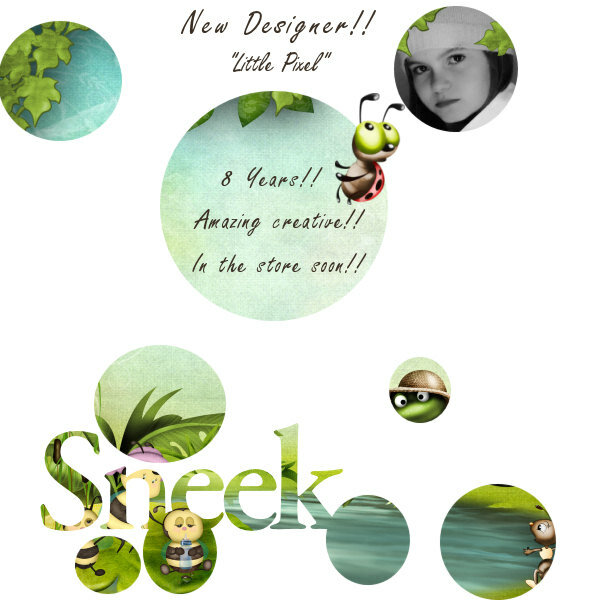 There is a new designer joining the Scrappity-Doo-Dah store soon and would you believe it, she's only 9 years old!!! WOW! I know, amazing hey! Let me introduce you all to "Little Pixel" aka Kaith. Kaith is Joelle's little artistic daughter and we can see where her creative genes have come from, her Mummy! I wish you all the very very best my little Sweetie in your journey into the world of designing. All the very best Sweetie! I hope this finds you all going amazing and having a great week! Oh for gosh sakes. I'm getting rid of AOL for my homepage and replacing it with "My Two Cents"!! lol!!! Talk about interesting news - awesome about 'Little Pixel'!